Before we start this Challenge, is there anyone out there who would be interested in taking over the duties as host for the Challenge? The only requirements are a willingness to spend some time on G2g, and knowledge on working a spreadsheet. Interested parties just have to contact Bob Keniston or leave a Comment. I'll be in touch. The Connectors WILL be using the Challenge Tracker. You can use an Answer or the Tracker for your connection, but NOT both. So let's begin another month of connecting the unconnected across WikiTree. We'll get the project page updated soon with last month's tallies, but for now, it's time to start connecting! Jan/Feb 2018 top connector was Linda Barnett with 129 connections. Thanks to all of you who participated the Mar/Apr 2019 Challenge. If you haven't checked out the Connectors Chat page, you should! There is a lot of chatter there about what everyone is working on. Pick any WikiTree profile which is not connected to the main tree. (In other words, that profile does not have a box at the bottom of the page, showing the degrees of separation from Kevin Bacon and Queen Elizabeth II.) You can look for unconnected profiles using the Unconnected People tool, the Unconnected Profiles category, the Unlinked_Profiles category, or you may run across an unconnected profile in the regular course of your research. Either add a new profile for a first degree relative (parent, spouse, sibling, or child) of the person on that profile as a link toward a connected profile, or else connect an existing profile on WikiTree to the profile you're working on. Add a source to the profiles involved in the connection showing the relationship between the two profiles. This could be a census record listing a family, a marriage record, a death record listing the spouse and/or parents, a birth record listing the parents, or any source which demonstrates that the two profiles should be connected to one another. Your source needs to be cited as closely to the style recommended on our Sources help page as possible to count towards your tally. Answer this post, creating a numbered list only if you aren’t using the Tracker, and including the two profiles and the kind of source you used to make the connection. (For example: "1. Smith-123 added as spouse of Jones-456, Anytown VR) You only need to reply once. As you make more connections, just edit your post to add your new connections. REMEMBER - The Challenge Tracker WILL be used. If you connect a profile which completes a connection trail either for an isolated profile or an unconnected tree, please add "Connected!" at the end of the line which made the connection. We count those connecteds towards your tally. The tally is of branches/unconnected profiles connected to the WikiTree tree, not sources or profiles added. That said, if you can add a number of sources to a profile, all the better, and sometimes a connection will take a number of profiles to get added. Every one is different, and each one makes our tree better. So, in short, we'll count each "connected!" we see. If either or both profiles you connect did not have good sources before and were already on WikiTree, then you can also count those sources towards the Sourcerers Challenge. All participants who do not already have a Connectors Project badge, will get one. 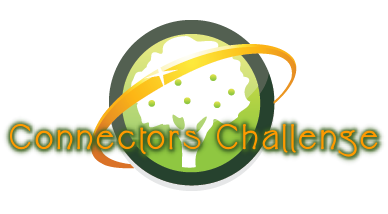 Winners each month-the person with the most connections made to the tree-will get the Connection Challenge Winner badge, and the Top Connector each month with get a spiffy template to wear on their profile page. Stats will be kept on the Connectors Challenge page, just like we do for the Sourcerers Challenge. See last month's challenge as an example. Ask questions in the comments section here. Thank you! Follow your standings in the Connector Tracker. I will do this but I will do it in this answer and seem to not be able to use the tracker. So I will do this. I can do challenges all kind of things with the tracker it is working now for some reason. I will continue to do this and I will look forward to any more notable groups that we collectively need to work on. I'm in, but it'll be my first time participating in a challenge and using the tracker so expect many questions! Starting with...the box at the bottom doesn't literally have to have Kevin Bacon in it, right? Because mine has Henry VIII. I'm actually quite sad that it doesn't have Kevin. I'll try again for a few using the Tracker. Can anyone answer the question why connections have not been updates for a few days now ?? ?